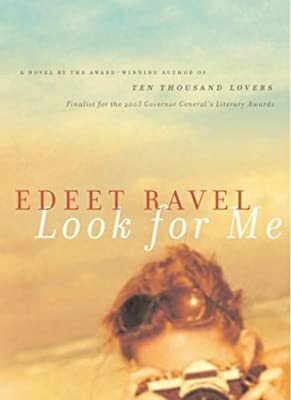 Description: In a love story framed by the vivid realities of the Israeli-Palestinian conflict, Edeet Ravel tenderly explores the complicated ways people connect when violence touches every aspect of their lives Dana Hillman is a young Israeli woman whose humanity and passion for justice are obvious to all who meet her. On peace missions, she and other activists act as human shields in situations where the Israeli army tries to displace Palestinians. A gifted photographer, she documents the protests, and the faces of women and children caught in the seemingly endless struggle. To make a living, though, she churns out junky historical romances, well aware of the irony of her situation. Her own love story has turned into a heartbreaking mystery: why did her husband, Daniel, suddenly disappear and where has he been for the last eleven years? Every year Dana publishes a full-page ad addressed to her lost husband that says, "I will never ever ever ever . . . stop waiting for you," with that "ever" multiplied to fill the whole page. Dana's hope and constancy fill the novel in the way that her "ever" fills up the page, as she holds fast to trust, love and a vision for the future that seems magical in this fractured place.